Home - Welcome to Conscious Nutrition by Heather Fleming. JOIN OUR MAILING LIST TO RECEIVE MORE NOURISHMENT! If you are a person who wants to be connected to their nutrition process by liberating yourself from following restricted programs for the rest of your life, welcome to the Conscious Nutrition Seasonal and Annual Programs. If you are done watching your weight, done trying to follow a program that worked for you the first time, but now not the second or third or fourth, we are here to support your continuous evolution. As we reevaluate our lives every night when we put our head on our pillow, we need to reconnect with our body and well being. This lifeline process is all about you staying connected with yourself and this is how we do it.. Follow us on social media to stay connected to yourself. Heather is a recovering Type A nutritionist who was seeking perfection, only to realize the body is brilliant and we just have to learn how to listen. Her education with a B.S. 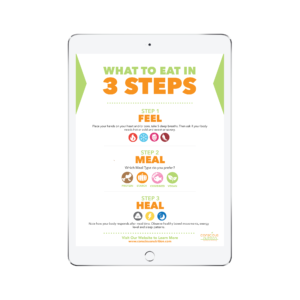 in Nutritional Science and as a Certified Clinical Nutritionist has provided a solid foundation to help her teach others how to nourish themselves with food. Her mission is to infuse love, compassion and guide others how to be their own guru. When I chose to start The Conscious Nutrition Process I was feeling awful and desperate. After having lost track of healthy habits during the Holidays, I just couldn’t find my way back towards health again. I knew I didn’t want to follow fad diets, I don’t believe in them anymore, but I was truly lost about how to turn it around even though I knew what I should be doing. I can’t tell you how happy I am now that I chose to invest in this process, not only have I received more than I bargained for, but I feel great now and have learned a great deal about myself. The flexibility and personalization of the Conscious Nutrition Process is amazing and just what I needed. And since it is a holistic approach, by connecting with myself I have been able to work in my emotions too! One last thing, I love to work with people who inspire and who generously share positive energy and wisdom. Thank you Heather! You are a ray of light in the world of nutrition. To end worrying and obsessing about what to eat?